Place 1 teaspoon flour in a small bowl, and place flour in a shallow dish. Sprinkle both sides of chicken evenly with salt, pepper and garlic powder. Dredge chicken in flour in shallow dish and shake off excess. 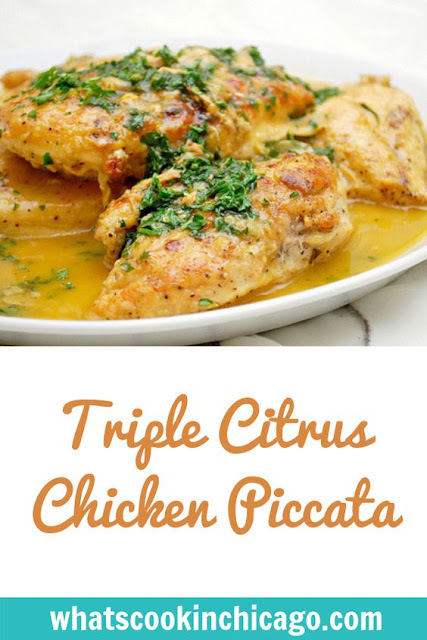 In a large skillet over medium-high heat, add 1 tablespoon oil and 1 tablespoon butter; melt. Add chicken to the pan and sauté 4 minutes on each side or until done. Transfer chicken to a plate and keep warm. In the same skillet, heat remaining 1 tablespoon oil in pan and add shallots and garlic; sauté until softened. Add wine, scraping bits from the bottom of the pan and bring to a boil,cooking until liquid almost evaporates, stirring occasionally. Add 1/4 cup broth to 1 teaspoon cornstarch; stir until smooth. Add remaining broth to pan; bring to a boil. Cook until reduced by half (about 5 minutes) then stir in flour mixture; cook 1 minute or until slightly thick, stirring frequently. Remove from heat; stir in remaining tablespoons butter and citrus juices. 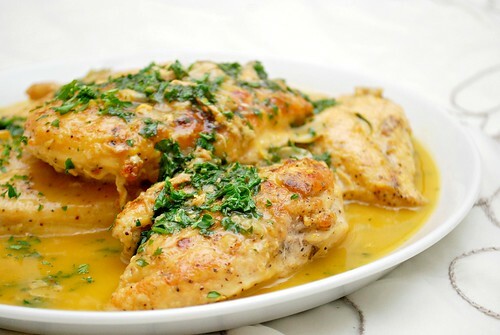 Place 1 chicken breast half on each of 4 plates; top each serving with about 2 tablespoons sauce. Sprinkle each serving with about 2 teaspoons parsley.